Choosing the right firm to represent you when facing foreclosure is a bit like choosing the right doctor. You want someone with a proven track record, someone who has built up trust among their clients and is effectively and responsibly committed to providing the highest level of care in the industry. In similar fashion, the foreclosure defense attorney you choose to represent you in foreclosure defense should have the highest level of trust among his/her clients. It is important for that law firm to be highly regarded as a place where people can go to get the job done. When looking for a South Florida bankruptcy attorney or a foreclosure attorney in New York, New Jersey, or Florida, or applying for a loan modification in Florida, New York, or New Jersey, look to Amerihope Alliance Legal Services, a firm that has distinguished itself by effectively stopping foreclosures for its clients. TrustLink.org. Amerihope Alliance Legal Services has more than 240 reviews on Trustlink and 95 percent of these are positive. Trustlink is a community that helps to bridge the gap between consumers and businesses by offering information consumers need to make better, more informed purchasing decisions. Through Trustlink, businesses have the opportunity to connect with consumers, respond to feedback in a timely manner, and understand the needs and wants of the marketplace. Having built such a reputation on Trustlink proves that Amerihope is a law firm that gets results. Amerihope Alliance Legal Services is Martindale-rated. The Martindale-Hubbell® RATINGS are an objective indicator of a lawyer’s high ethical standards and professional ability. Attorneys receive a rating based on evaluations by clients who review them on Communication Ability, Responsiveness, Quality of Service and Value for Money. 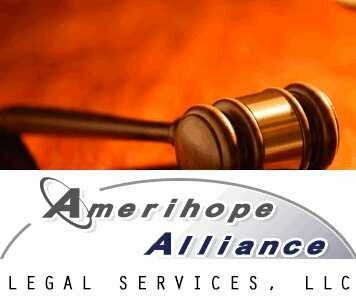 Here, Amerihope Alliance Legal Services has achieved a 4.9 rating out of a 5.0. Let our clients tell you: Our website has a page in which you can review actual case results from clients, including a “before and after” profile of what was achieved in each individual case, so that prospective and current clients can review both work in progress and cases that have reached successful completion. Client portal: We also provide clients with 24/7 access to all notes and updates on their case via our website. This level of transparency sets us further apart from others in our industry and gives our clients more control and a better understanding of the events that comprise their case. Proof is in the numbers. We have completed more than 5,000 loan modification and foreclosure cases in four years in three states: Florida, New Jersey and New York. When choosing the right firm to represent you, during what may be the toughest financial times of your life, we suggest you do your research. The more you research the more you’ll find the roads leading to Amerihope Alliance Legal Services. We want to be your foreclosure defense, loan modification and/or bankruptcy partner.